Looking for a church roofing contractor? Church roofs can vary immensely from one church to another, but they are much more than aesthetics. A properly installed roof can protect your church for decades, even centuries. Inspired Heights is a licensed commercial roofing contractor with experience in church and steeple roofs. 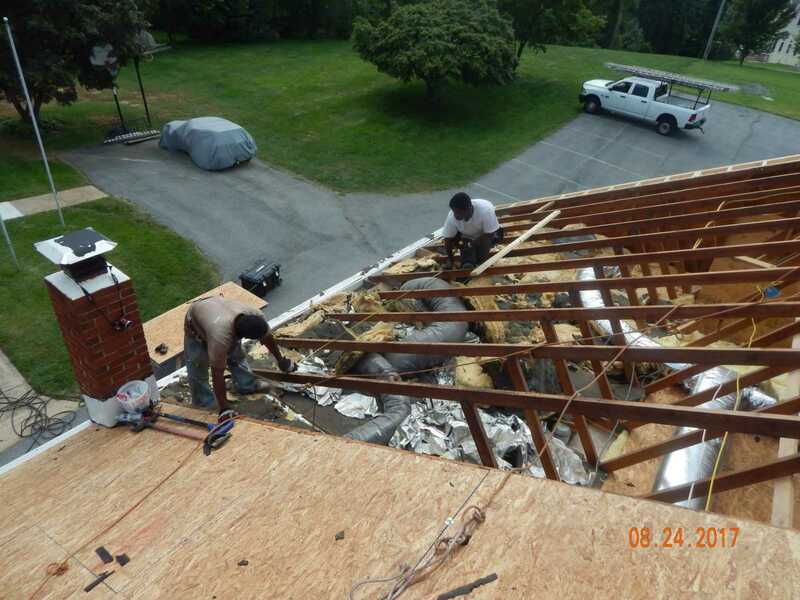 Inspired Heights is a roofing contractor that specializes in church roof repair and installation. Our experience working with a variety of materials on diversified church roofs allows us to offer a selection that would be right for your roofing project. Inspired Heights, are roofing contractors that know church roofs. 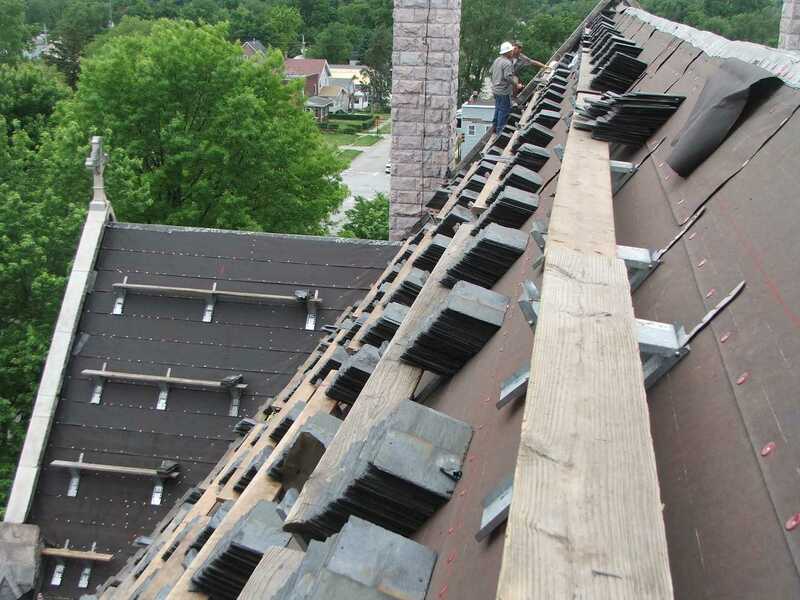 As experts in church roof installation and repair we are proficient in the traditional building materials that are common to church roofs (slate, cedar, tile, copper, etc. ).​ In addition to conventional roofing materials, Inspired Heights stays current with new roofing products as they become available (Lifetime asphalt / fiberglass shingles, cedar breather, 50 year treated wood shakes, synthetic slate, laminated metal shingles, etc). When you think of church roof replacement, think Inspired Heights. Church roof repairs and church roof installation can be very complex involving steeples, concealed gutters and parapets. 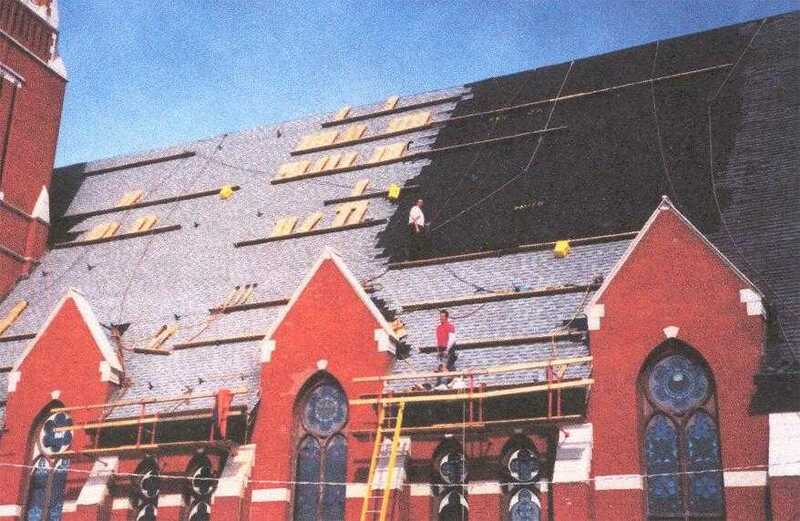 Furthermore, the traditional building materials often found on the church's roof present unique problems that require specialized training. When your church contemplates the roofing materials available there are several factors to consider. The first of which is cost. Not just the immediate, but also what can be expected over the life of the new church roof. A new church roof installation can be a sizable investment for any church and should be made wisely. The money saved by hiring a cut rate roofer can be regretted for years to come, often being lost in needless church roof repairs. In contrast the extra money associated with quality roofing products and an experienced church roofer can pay for itself in the extra life expectancy of the new church roof. Another factor to consider when searching for the right shingle for your new church roof is aesthetics. For historical preservation many churches may find it difficult to change the appearance of their church's roof. Therefore, a roofing contractor that is familiar with both the traditional materials used and their modern counterparts could be very beneficial for replacing historical church roofs. A final consideration when looking for a church roofing contractor is the installer's experience and reputation with the type of roof and materials to be used. Not all roofs are equal and each has its unique method of installation. Careful observations of church roofs and church gutters can detect many potential problems before they become a threat to the church. Some warning signs include discoloration or dirty streaks appearing on the interior or exterior church walls, especially close to the top. This may denote a leaking or overflowing gutter. Look for dislocated and broken slates and tiles; denoting nail deterioration or storm damage. Church roofs may not be completely visible from the ground and will require greater diligence in detecting problems during their early stages and should be done by a roofing contractor with experience in the specific materials found on your church roof. At the first sign of a problem a church roof specialist should be contacted. Seek the council of a roofing company who has a broader understanding of the interrelation between the church roofs, steeples, gutters and the remaining parts of the church building. Proper maintenance and inspection of church roofs is paramount to their longevity and should therefore be regularly scheduled, a little prevention can spare the church costly repairs latter. The basic purpose of church roofs are to keep the weather out. 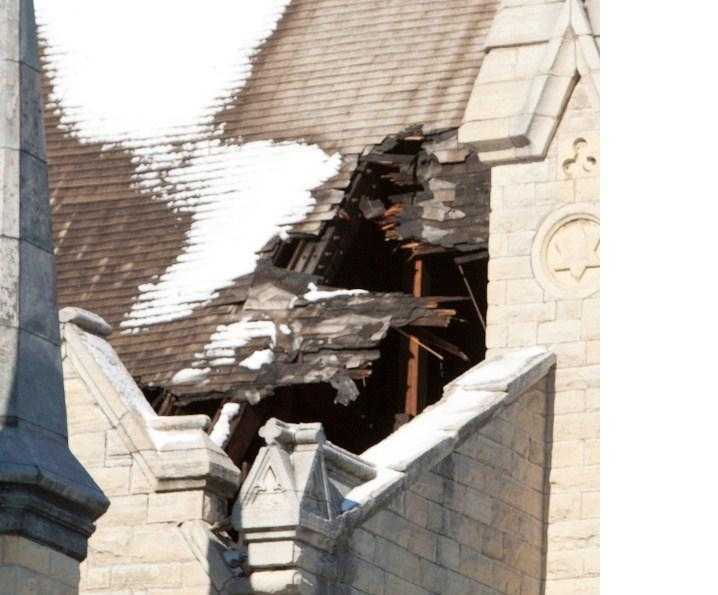 This exposes church roofs to the harshest of the elements. Church roofs are subject to the worst our climate can bring against it; 365 days a year of unrelenting rain, snow, wind and the beating sun. Church roofs and steeples are usually the most vulnerable areas of the church building and must be properly maintained to preserve its weatherproof properties. The following information is intended to help you understand the very basics of your church roof. Church roofs generally fall in to one of two categories. Normally installed on steep pitched church roofs to ensure the water runs off the church roof and into the church gutters. They include slate, tile, cedar shakes, clay or concrete, metal shingles and your typical asphalt shingle. These shingles / tiles themselves may be waterproof, often interlocking and sealing together, but the water shedding church roof is not. Therefore, the proper maintenance, repair and replacement of damaged or missing shingles is crucial to the church roof’s ability to redirect and deflect the water into the church gutter system. With proper care a slate church roof has a life expectancy of 100 plus years. Inspired Heights are the church roofing contractor who specializes in the challenges often associated with church roof installation and repair.